Hey guys and welcome to the 8th edition of the binary today.com podcast. Buckle in and learn all about what’s going on here at Binary Today and what you can expect moving forward. Today we are going to go over the binary today secret software that is almost ready for the public. This is my personal secret trading strategy, that’s going to provide you with proven trading signals and make your trading much easier. We are also going to discuss changing brokers. I’ve been using a lot of different brokers lately and I’ve been getting a lot of feedback from the community about what brokers we should be using and I’ve been taking it very seriously. Then, we’re going to discuss some of the positivity surrounding binary options market. Yes, there is actually some positivity right now and I want to discuss it. Finally, we are going to get right into the mailbag and we’re going to see what people’s thoughts are on a couple of questions they have about the binary options market and products they are currently trending. Now, let’s first start off with the binary today secret software. The system is about to hit the market but there has been a little bit of a delay. Everybody knows I hired an additional coder this week to run through every single aspect of the strategy to make sure that it’s trading the way I trade the strategy when I trade manually. This software is going to be using a trading strategy guaranteed to dominate. We want to win trades by landslide margins leaving no doubt and that’s our goal. The strategy we are using a trend following strategy which means we base the software on technical analysis of market prices and we operate under the belief that over time and the the trend will move upwards or downwards and then we will generate a signal. We don’t want forecast specific price levels, just jump on the trend for easy wins. As a trend follower we really don’t have to anticipate reversals or breakouts we just have to respond to them when they arrive and that’s exactly what this strategy does. Let’s move on to brokers, if you’ve been on binary today.com lately you probably will have noticed that I’ve been changing brokers. I took CT option off the list and I’ve demoted boss capital little bit as I’ve been focused heavily on regulated brokers. It seems that regulation in the binary options market is getting much more active which is a good thing, and something that we should all be positive about right now. There are finally governing bodies starting to look over binary options brokers to make sure that the traders are treated right, that we get our withdrawals on time and that the overall experience is worthwhile. So definitely keep your eye out on the brokers on binary today.com. I have added IQ options and I plan on adding a few more as soon as I cut through the red tape and and do my full of evaluation. Look out for more broker reviews coming in the future. We won’t transcribe the entire answer to this question because we actually have a full length YouTube video that does an extremely good job at telling the story on Nuvo Finance. We’re not getting getting to the specific details on this but basically a regulated broker is a broker that has to answer questions to a governing body. Where as an unregulated broker doesn’t have to answer questions to anyone. So an unregulated broker could essentially disappear, take all your money, treat you poorly and not have any consequences. A regulated broker has to answer to the governing body as they would they would lose their license if they did anything bad. They have to follow certain guidelines and rules and that’s what we like about regulated brokerages. Okay so that’s really the podcast for today, it’s only about 7 minutes right now. Obviously I want you to look forward to my secret software that’s almost ready and I want you to take a look at some of the brokers that I’ve been changing. I want to make sure that your with a regulated broker, so that you have more security. I just wanted to touch on some positivity here. A lot of people at binarytoday.com are doing very well with the binary today 5 the binary today trader systems I have lowered binary brainwave, binary ascend and binary options bullet. I’m not sure where to put those right now because I’m not using them. When I start using them again I’ll probably put the back on the software and signals page, maybe where it says older systems because I’m really focused right now on binary today 5, binary today trader and my new secret software that you’re going to see soon. 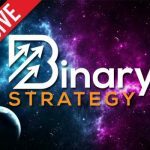 This has been John Kane with binary today.com and I hope that this podcast helps you understand the binary options market. Take a little action, start trading, get a demo account and have somefun. Take care. 6 Responses to BT 08: Binary Today Secret Software Almost Here! Thank you for being Trustworthy to the binary community.There are many scammers out there who offer false and empty promises,For me Binarytoday is the University of Binary options trading which with NO doubt sets the record straight in this market. Thank you John For keeping it real and for being there for us all. Hi Yas, I’m hoping this is the case. Any advice in regard to brokers for those of us living in the United States? Do you know if there’s any regulated brokers that accept clients from the U.S.?